A two storey high finger - shaped balloon in front of the busy MMDA office complex in Chennai, – complete with the indelible ink mark on it reminds thousands daily of the upcoming general election. This is part of the government efforts to push for 100 percent voting. Every other day media reports school kids display “100 % VOTE” on playground. In one district the school children were asked to create awareness by asking the people in their villages to cast their vote on the D-Day. In another district, more than 400 women gathered around a lighted camphor over which they swore to cast their vote without fail. Differently abled people hit the roads to spread the importance of casting one’s vote. The prasadam bags at temples, the gas cylinders delivered to households, the receipt slips at ATM machines, all had tags of 100% vote. 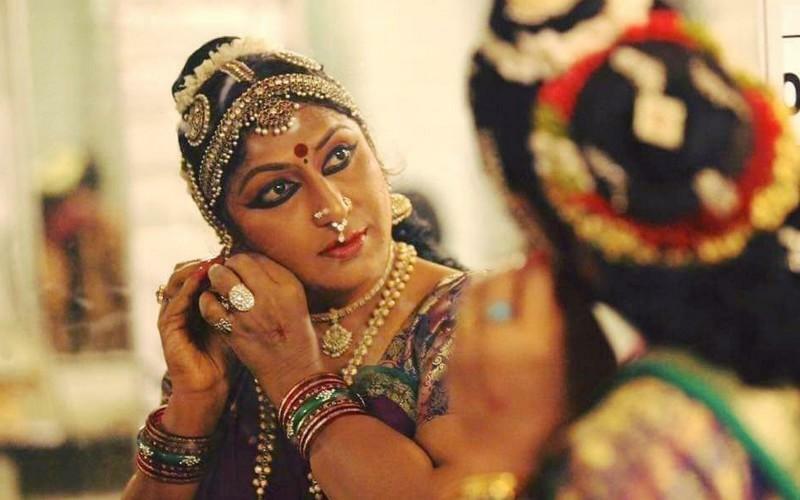 (Even a court hearing petitions to postpone polling date had asked of the EC how 100 percent polling is possible with Madurai Chithirai festival on poll date. The EC explained that polling in Maadurai could be extended upto 8 pm while in all other constituencies it will be an extension of one hour that is, upto 6 pm on April 18, since the poll date falls on a summer day. Yes, the target of 100 percent polling remains unaltered. ‘T’ in Tshirt stands for Tiruppur! With less than 40 days for Lok Sabha elections, campaign Tshirts, hoodies, caps, key chains, flags, rings, buntings etc., are selling both online and offline like hot cakes, loudly proclaiming that campaign fever is in the air. NaMo campaign attracts around 9 crore volunteers from across the country. They are non-party, not attached to any Hindu outfit, have enrolled to campaign for Narendra Modi Sarkar again, reveals ‘Nation with NaMo’ site survey. And the campaign T-shirts business this election season is a whopping Rs.180 crore business. The main hub of this lies in the small town down south, Tiruppur. Known as Little Japan, Tiruppur is the knitting capital hub of India. 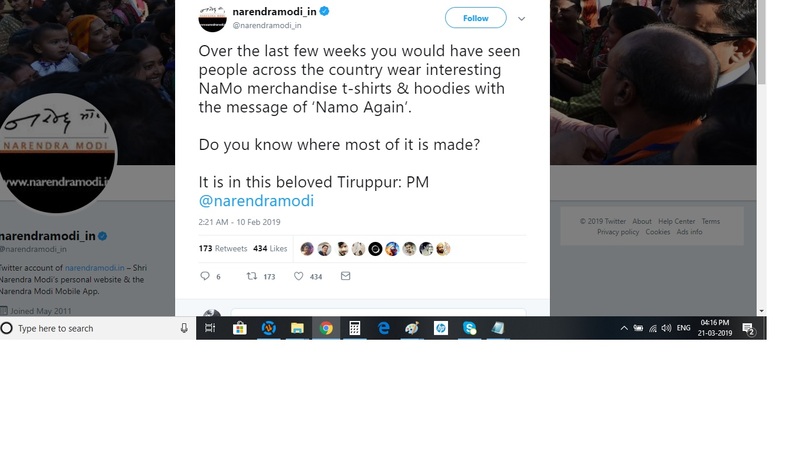 Modi ji himself pointed out during his Tiruppur campaign that most of his ‘NaMo Again’ campaign, Tshirts and hoodies are printed in this town. Contrary to the west, Business in India can be happen anytime, anywhere, be it Kumbh mela, wedding season or even elections.